Despite the rise of the trendy crossover, research shows that British buyers still rate the humble family hatchback above almost all other cars. 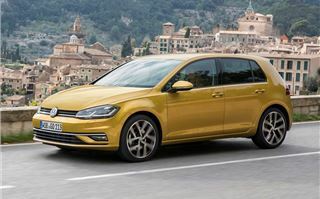 In 2016, eight out of 10 of the best-sellers were family hatches, which makes cars like the new 2017 Volkswagen Golf big news. 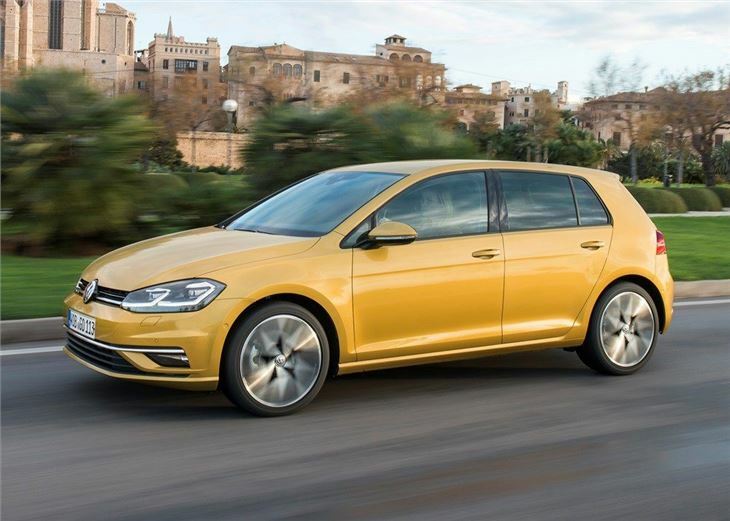 That said, as you can see from the pictures, the 2017 Volkswagen Golf isn’t all that new. It’s actually a mid-life facelift, designed to keep it competitive against the likes of the new Honda Civic and Ford Focus. 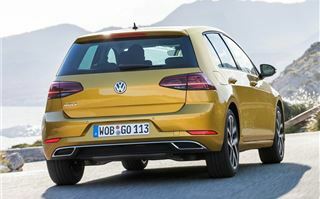 If you look closely, however, you will see that the Golf gets some tweaks, with LED tail lights, new bumpers and splashes of chrome, but most buyers will struggle to tell the 2017 Golf from the pre-facelift version. Yet, Volkswagen’s new(ish) family car isn’t some form of cynical modern marketing, intended to din the launch of the excellent, new Civic. 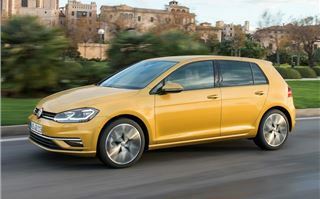 Because under the metal, the Golf gets some important changes, with the most significant being the introduction of an all-new turbocharged 1.5-litre TSI Evo engine. With a name like “Evo”, you’d be forgiven for thinking that the new four-cylinder petrol is built for high octane performance, but it actually stands for the “evolution” of highly efficient engines. So it ticks all the family car boxes, with low running costs, high refinement and a useable dollop of pace. The 1.5 Evo will eventually replace the 1.4 TSI in the range. However, while it's more powerful (150PS) over the old 125PS unit, it shouldn’t cost anymore to run, with an official 55.3mpg. A 130PS BlueMotion Evo is also on the way - due late 2017 - with 130PS and an advertised range of 60+mpg. 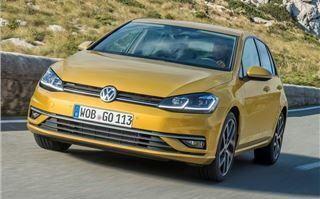 Given the rise of three-cylinder 1.0-litre petrols, it’s a little surprising to see Volkswagen dump the old 1.4 for a larger four-cylinder engine, but we can’t deny that the Golf is all the better for it. The new 1.5 turbo engine is excellent, with smooth power delivery, low noise and punchy performance. Volkswagen is also promising better real world economy, which is just as well, as patchy Real MPG performance is one of the most disappointing aspects of the 1.4 TSI. New engine aside, the 2017 Golf feels very much like the old car. As before, it provides safe, comfortable and predictable handling. 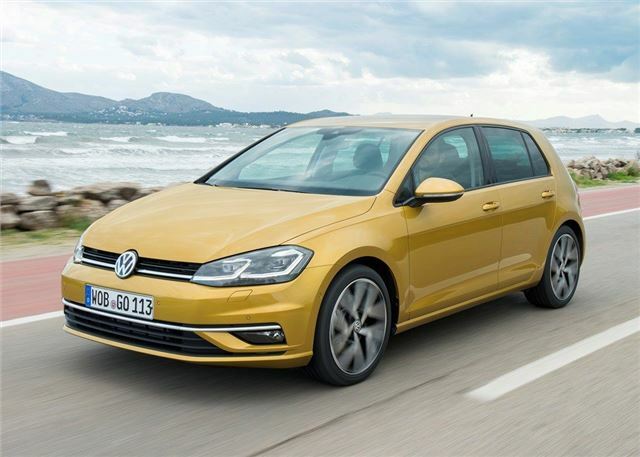 Some might add boring to that list, but the Golf is fun and can be hurried along, thanks to its responsive steering and abundance of front-end grip. The interior is the same as before, with lots of head and legroom. Four adults should fit comfortably, along with three or four large suitcases in the 380-litre boot. 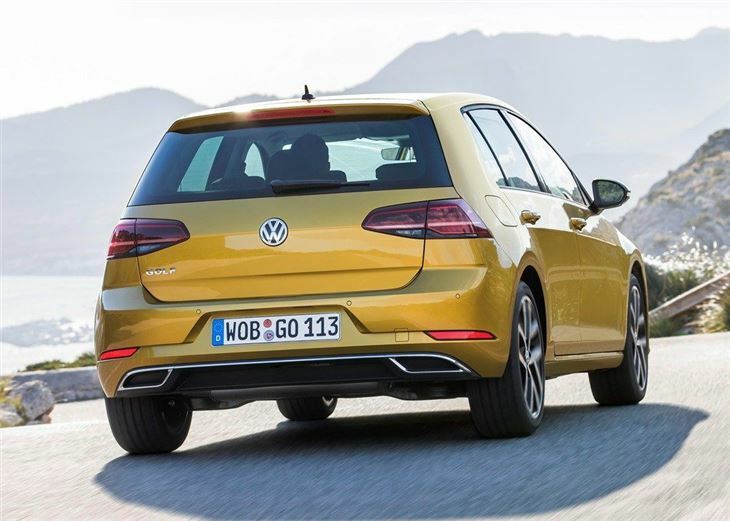 The rear seats are of the split folding variety, which means you can use the Golf to shift bulky items, with a wide boot opening, low loading lip and a maximum of 1270 litres of storage. One feature that we would recommend is Active Info Display. 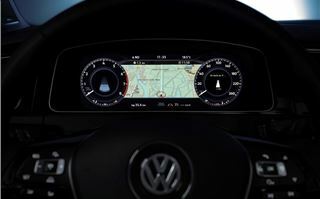 It’s similar to the system we’ve seen in the Audi A4 and Volkswagen Passat, with a 12.3-inch screen replacing the traditional instrument binnacle. 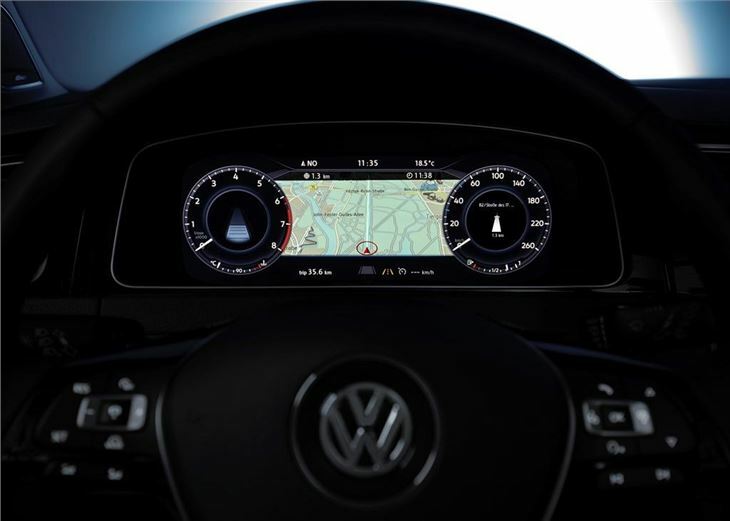 Basically there are five settings, allowing the driver to tailor the display to show navigation commands, maps, fuel economy ratings and engine performance. In keeping with its safe and sensible profile, the 2017 Golf gets higher levels of active safety kit. For example, Front Assist, which automatically applies the brakes in the event of an imminent collision, now works with pedestrians. Emergency assist is also available and will warn the driver if they’re getting tired and switch on the hazard lights and bring the car to an automatic halt if it thinks that the driver is no longer in control. 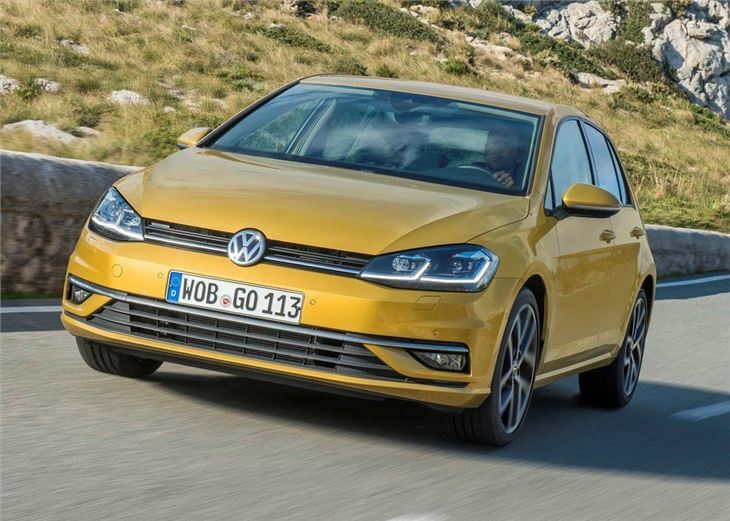 While the infotainment and safety additions improve the Golf’s family car appeal, we think that the 1.5 TSI Evo engine is the star of the show here. It's wonderfully refined and surprisingly quick. Sometimes economy-focused engines can feel a little lethargic, but Volkswagen has managed to give the Golf city car economy with big car performance. 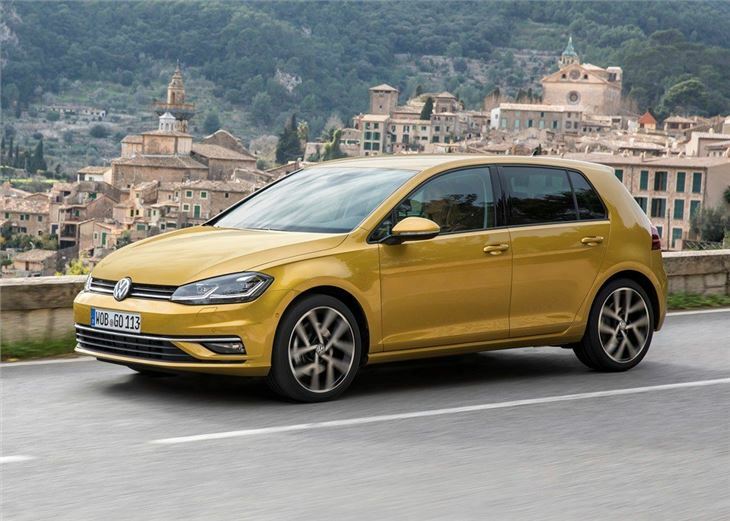 Pricing for the Golf 1.5 Evo is still be finalised, but it is believed that it will cost in the region of £20,000 for cars in SE trim. That will make it a genuine alternative to mid-spec versions of the Focus 1.5 EcoBoost and the Civic 1.0 VTEC. Given the better performance and upmarket interior, we’d struggle to look past the Golf on both occasions. The 2017 Volkswagen Golf 1.5 TSI Evo will go on sale in March.